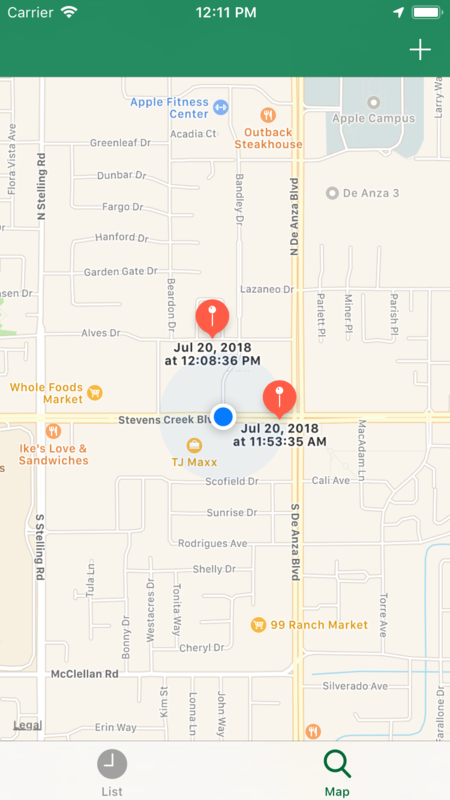 iOS has very powerful APIs for tracking user locations and working with maps. You might be making an app for your local café and want to notify the user of special offers when they are nearby. Or, you’re making a music player and you want to start playing some bouncy beats when the user enters a gym. Tracking location all the time, however, can drain a battery really fast! In this Core Location tutorial, you’ll learn how to use some of the lesser-known, but very powerful, capabilities of the framework. You’ll learn how to create an app that logs user movements during the day but also doesn’t drain much of a device’s battery. 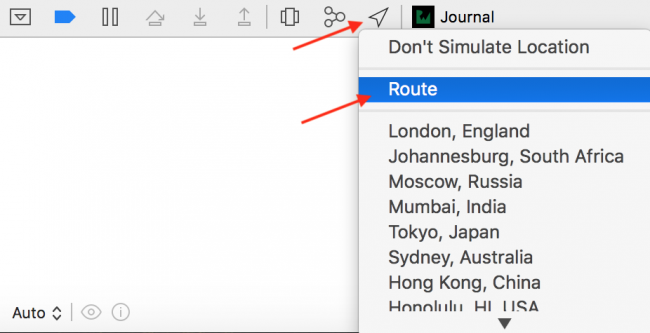 In this tutorial, you’ll make a travel logging app. Imagine you’re traveling to a new city. 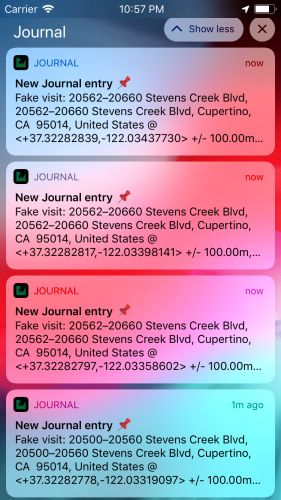 Instead of keeping a journal, this app will automatically track locations you visit, so you can remember them later and compare them with your friends. 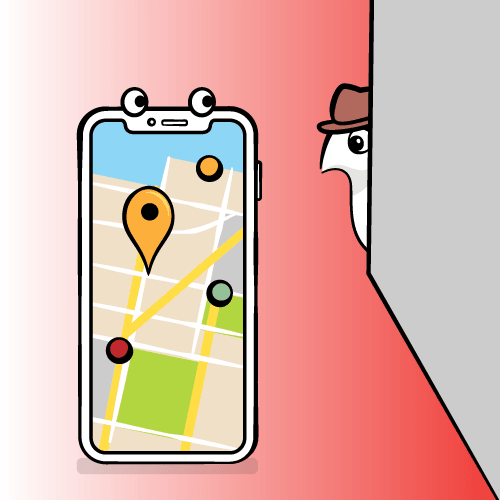 Track the user’s location, even when the app is not open. 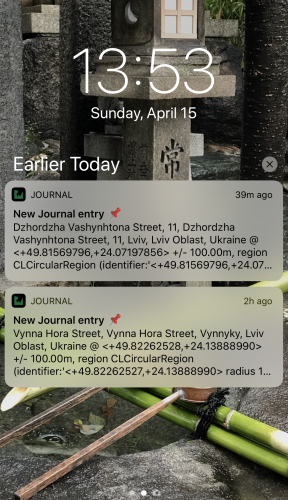 When the app logs a new location, send the user a local notification. Save those locations in a file. 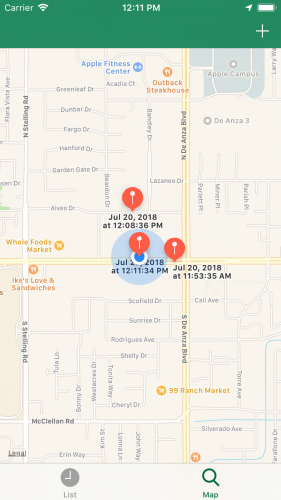 Display a list of logged locations. 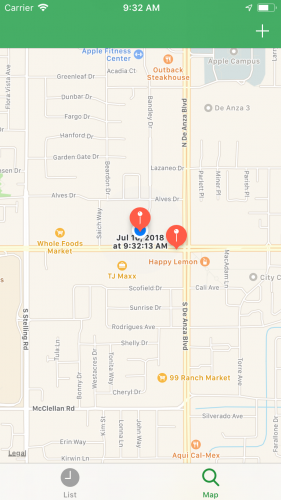 Display a map with user location and logged locations. 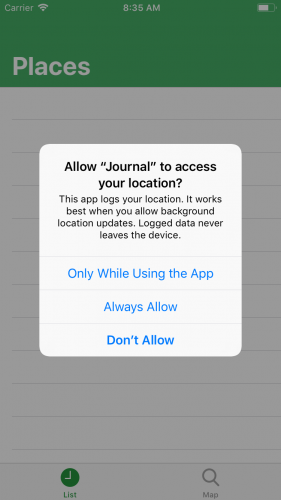 Allow users to manually log their current location. Without further ado, it’s time to get into it. First, download the project materials using the Download Materials link at the top or bottom of this tutorial. Open the starter project. Right now, the app doesn’t do much. On the first tab, you have an empty list with locations. On the second tab, you’ll see an empty map view. The CoreLocation framework listens to user location updates. You’ll use the UserNotifications framework to show banner notifications when the app logs a new location. Through these two properties, you’ll access the API of the two frameworks above. 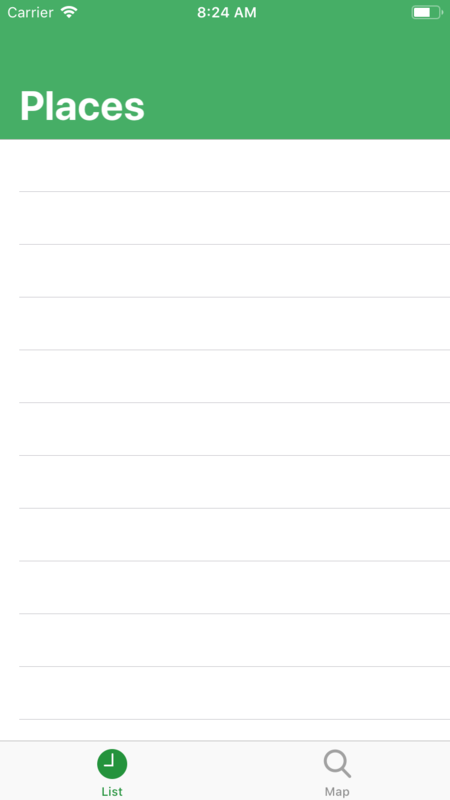 This is the first tab of the app — the UITableViewController subclass — with an empty datasource implementation. If you need a better understanding of any of the methods, check out this awesome course on table views before you continue. This is the view controller for the second tab. You have the MKMapView hooked up from the storyboard. You also have an IBAction for the plus button in the navigation bar. latitude and longitude are what you’d expect them to be: the coordinates of the location. The date is the exact date when this location was logged. dateString is a human readable version of the date. description is a human readable address of the location. There is also a computed property to convert the Location object to CLLocationCoordinate2D, which will be useful later in the tutorial. There are two initializers for this class; you’ll learn about them later in this tutorial. You need to save objects of this class on disk. In order to do that, this class conforms to Codable. Codable is a Swift 4 language feature that allows you to encode and decode objects easily. For more information on this feature, check out our tutorial on Codable. Last but not least, with this singleton, you’ll save locations to the documents folder of the app. Now that you’re up to speed with the initial code, it’s time to add some new code! The first step is to ask permission to track the user’s location. In the age of privacy scandals, Apple stands pretty strong on keeping users in charge of which data an app can gather. That’s why it is very important to properly ask users to allow the app access to gather the required data. Encourage users to give you the access. Let users know exactly how, and for what reason, the data is being collected. 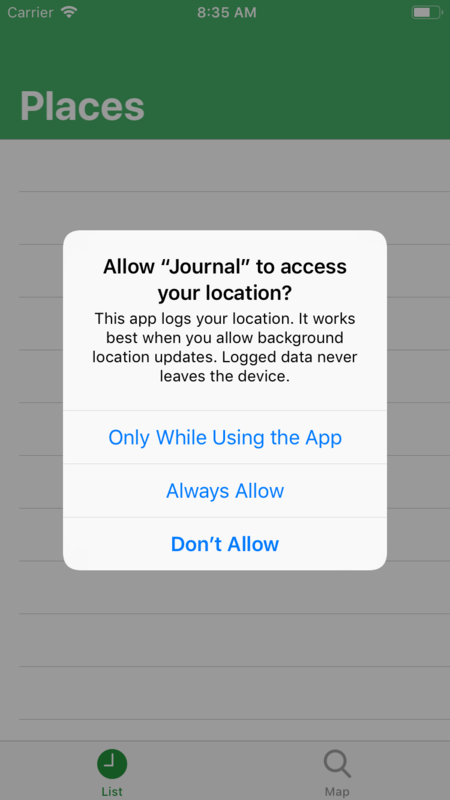 With this line, you ask users to allow the app to access location data both in the background and the foreground. Note: The user may restrict the access to location data for background or for both; in this case, it’s the developer’s responsibility to gracefully handle those cases properly. To keep things simple for this tutorial, you’ll assume that the user selects Always Allow. Location permissions are not the only permissions you need: To show a user notifications, you need to ask permission. Here, you pass options to specify what kind of notifications you want to post. You also include an empty closure because you assume, for this tutorial, that users always give you permission. You can handle the denial in this closure. Standard location services: High battery impact. High location precision. Great for navigational or fitness apps. Significant location changes: Medium battery impact. Medium location precision. Low stops precision. Regional monitoring: Low battery impact. Great location precision. Requires specific regions in order to monitor. None of these is fully suitable for your app. Low battery impact is a must — a user is unlikely to use the app otherwise. What’s more, regional monitoring is also undesirable because you limit user movement to some specific regions. Fortunately, there is one other API you can use. Visit monitoring allows you to track destinations — places where the user stops for a while. It wakes the app whenever a new visit is detected and is very energy efficient and not tied to any landmark. Now that you know which of the many Core Location APIs you’ll use to get the user’s location, it’s time to start implementing it! The first line initiates the listening feature. Core Location uses delegate callbacks to inform you of location changes. The first method is the callback from CLLocationManager when the new visit is recorded and it provides you with a CLVisit. arrivalDate: The date when the visit began. departureDate: The date when the visit ended. coordinate: The center of the region that the device is visiting. horizontalAccuracy: An estimate of the radius (in meters) of the region. The only thing missing in the above is descriptionString. To get the description, you will use CLGeocoder. Geocoding is the process of converting coordinates into addresses or place names in the real world. 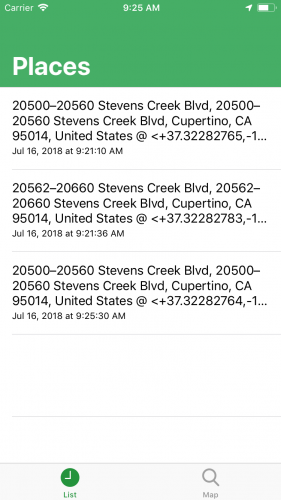 If you want to get an address from a set of coordinates, you use reverse geocoding. Thankfully, Core Location gives us a CLGeocoder class which does this for us! Here, you ask geoCoder to get placemarks from the location. The placemarks contain a bunch of useful information about the coordinates, including their addresses. 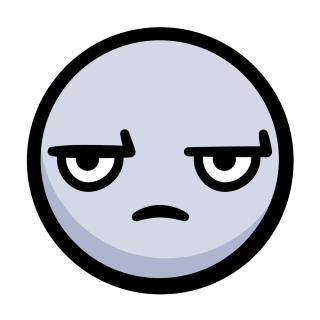 You then create a description string out of the first placemark. 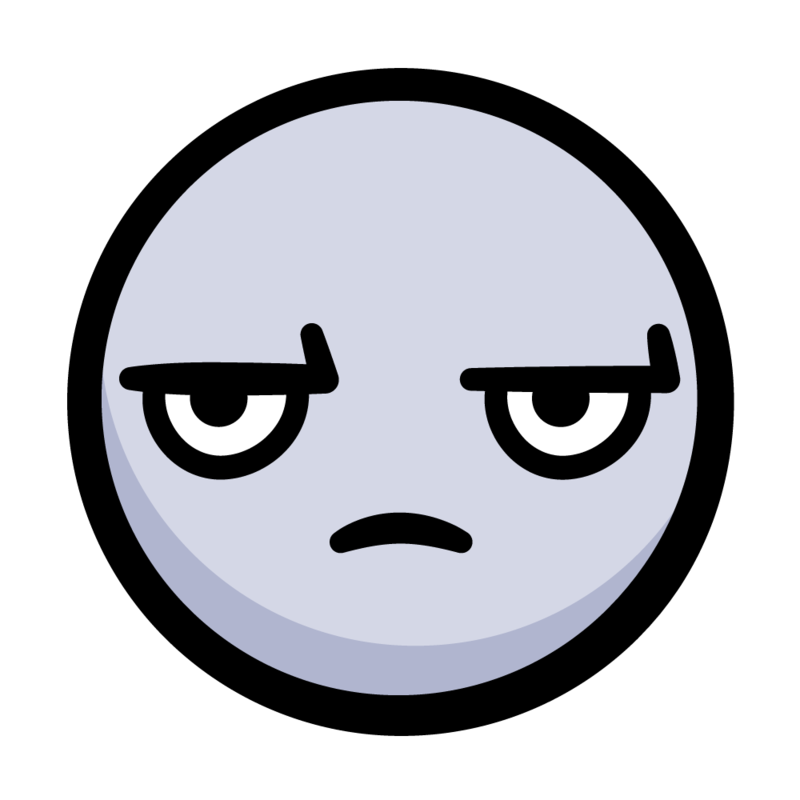 Once you have the description string, you call newVisitReceived(_:description:). content.title = "New Journal entry 📌"
Create a one second long trigger and notification request with that trigger. 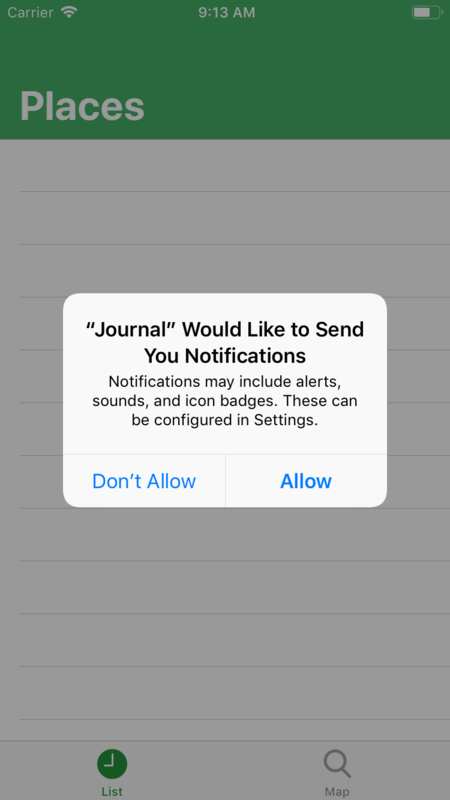 Schedule the notification by adding the request to notification center. Build and run the app. At this point, the app is usable in that it logs visits and notifies the user. The visits are being recorded, but the visits are not yet persisted. Walking is good for your body, but it might be a problem to do it right now in the middle of building this app! To test the app without actually walking, you can use the Route.gpx file. This kind of file allows you to simulate the device or simulator GPS location. This particular file will simulate a walk around Apple’s campus in Cupertino. You can open the tab with a map or Maps app to see the walking route. 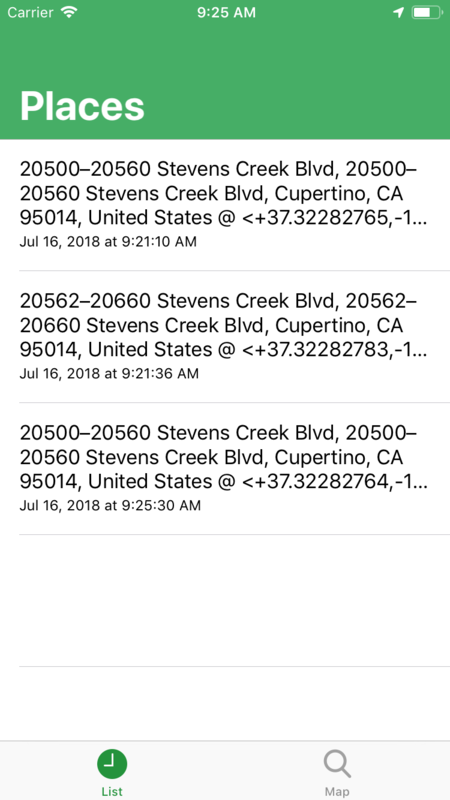 iOS records CLVisits behind the scenes, and sometimes you might wait for up to 30 minutes in order to get the callback! To avoid this, you’ll need to implement mechanics that fake CLVisit recording. You’ll create CLVisit instances, and since CLVisit has no accessible initializer, you’ll need to make a subclass. With this subclass, you can provide initial values for CLVisit‘s properties. Receive location updates when location changes for n meters and more. Allow location tracking in background. You can comment out these 3 lines to turn off the visits faking. let description = "Fake visit: (place)"
Discard all locations except for the first one. Grab the location description, as you did before. Mark the visit as a fake one. Create a FakeVisit instance and pass it to newVisitReceived function. Build and run the app. Turn on the Route location simulation. Close the app or lock your iPhone and you should get a new notification around once per minute. To save the visited locations, you’ll use Swift’s Codable protocol to encode the visited locations into JSON and write that to a file. Get the URL to file; for the file name, you use a date timestamp. Convert the location object to raw data. Add the saved location to the local array. Note: For simplicity, this tutorial simply assumes the JSON conversion and the writing the file will succeed. You should always implement a proper error handling strategy in your production code. Now, whenever the app receives a visit, it will grab the location description, create a Location object and save it to disk. Allow the user to log his or her current location. 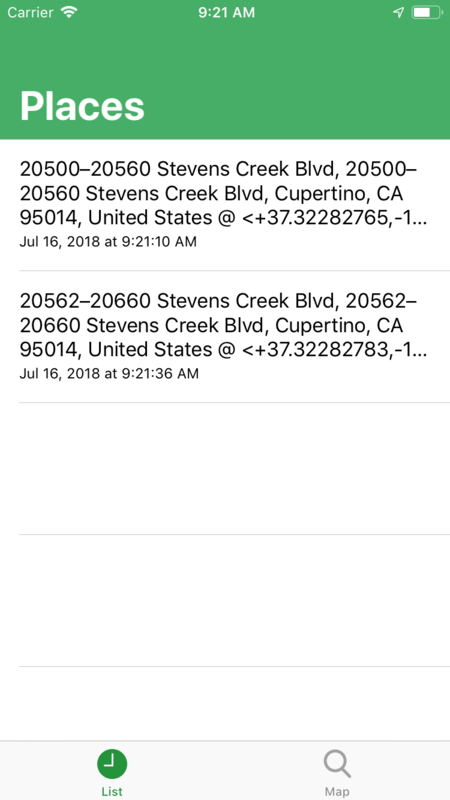 Display all saved records in a UITableViewController. Here, you create a Location object from clLocation, the current date and the location description from geoCoder. You save this location the same way as you did before. Get URLs for all files in the Documents folder. Read the data from the file. Decode the raw data into Location objects — thanks Codable 👍. With this code, when the app launches, LocationsStorage will have locations taken from disk. Enough with the boring behind-the-scenes stuff! Now, it’s time for you to see the results. If you don’t have any recorded visits, try saving them manually on the second tab and build run the app again. As you can see, in order to update the list, you need to re-run the app. You’ll fix this next. To keep the list updated, you need to post a notification for the app to know that a new location was recorded. Please note, however, that this is not UNNotification, but a Notification. This notification is for the app’s internal usage, not for notifying users. This is the notification that you will post. Next, you need to listen to this notification in PlacesTableViewController. 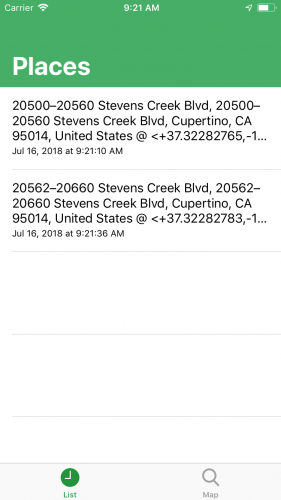 Register a method to be called when your notification arrives. Receive the notification as a parameter. The final part of this tutorial will show you how to display locations on a map with pins. To add pins to the map, you need to convert locations to MKAnnotation, which is a protocol that represents objects on a map. 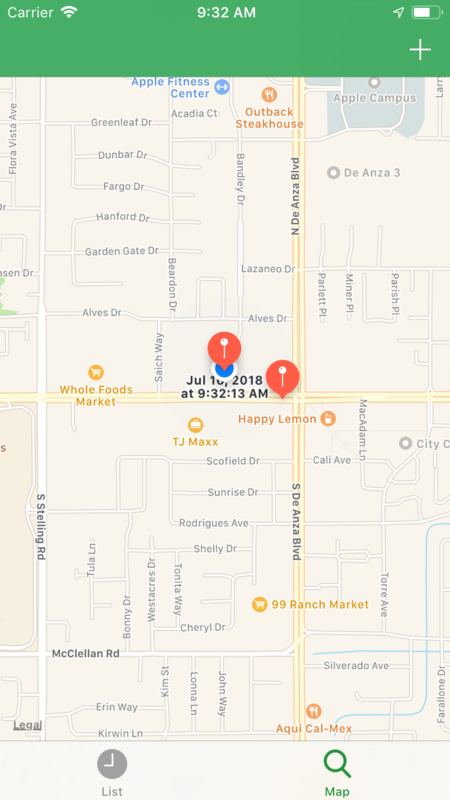 This creates a pin annotation with a title and coordinates. This code generates pins from locations that you’ve already created and adds them to the map. The only thing left to do is to add a pin when a new location is logged. Similarly to the first tab, you need to listen for the notification in order to know when this new location is recorded. And that’s your travel logger done! Feel free to walk around town and see what places it records! This feature enables you to see and react to where the user is going without draining too much battery. Just keep in mind that the data you’re collecting is sensitive data, so collect it responsibly.